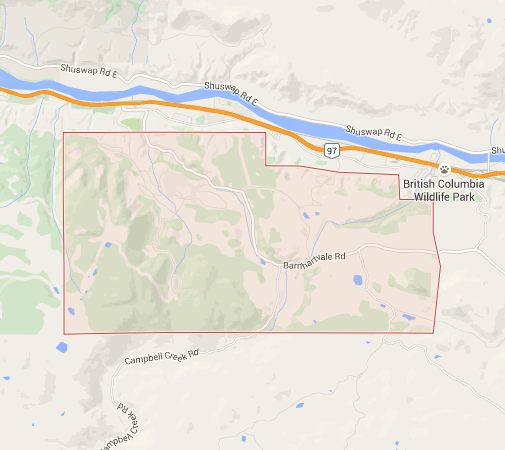 Barnhartvale is located at the southeast end of Kamloops south of Dallas. The area includes residential homes on larger lots, riding stables, farms, and ranches. There is a local store called Happy Valley Foods, a coffee shop at the Pond Country Market and a local elementary school Robert L. Clemitson. The main road which runs through Barnhartvale is Barnhartvale Road. Todd Road and Pratt Road are the main accesses through the subdivided western portion of Barnhartvale.